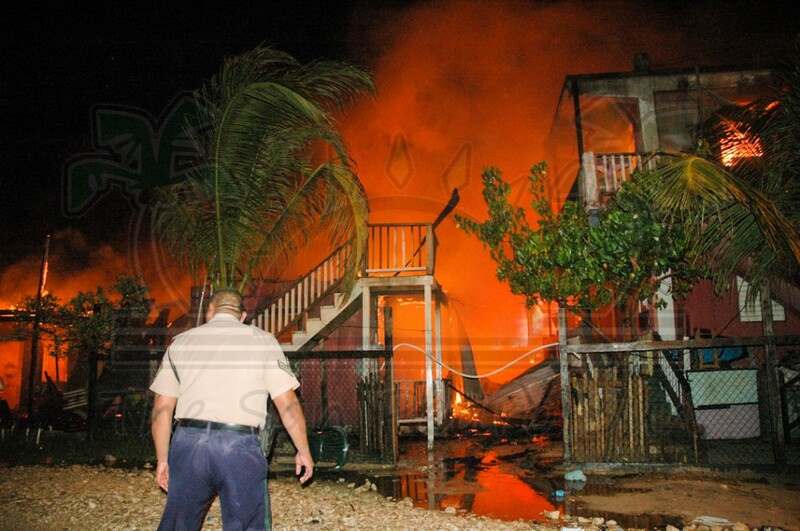 Fire officials on Ambergris Caye are investigating a massive fire that gutted five buildings and partially destroyed two structures. The fire started sometime around 8:15AM inside a wooden structure on Mangrove Drive in the Boca del Rio Area of San Pedro Town. Fire officials responded to the scene but encountered several difficulties, and only managed to bring the fire under control two hours later. While there has been no official word from the Fire Officials on Ambergris Caye, eyewitnesses say that the fire started in an upper apartment of a two-storey structure. 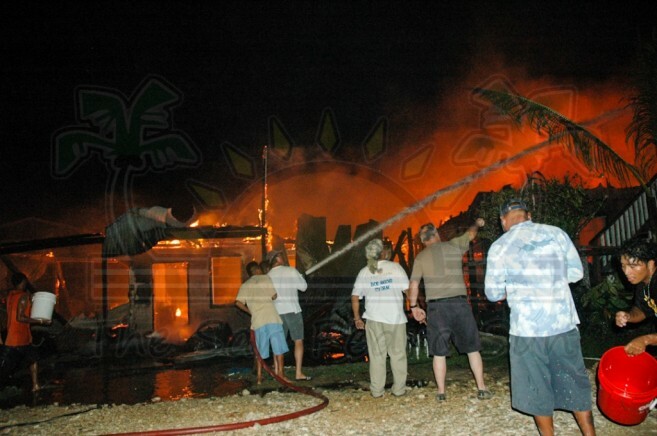 It is uncertain at this time, what caused the fire however, windy condition fueled the fire which quickly spread to nearby concrete, wooden and plywood structures. 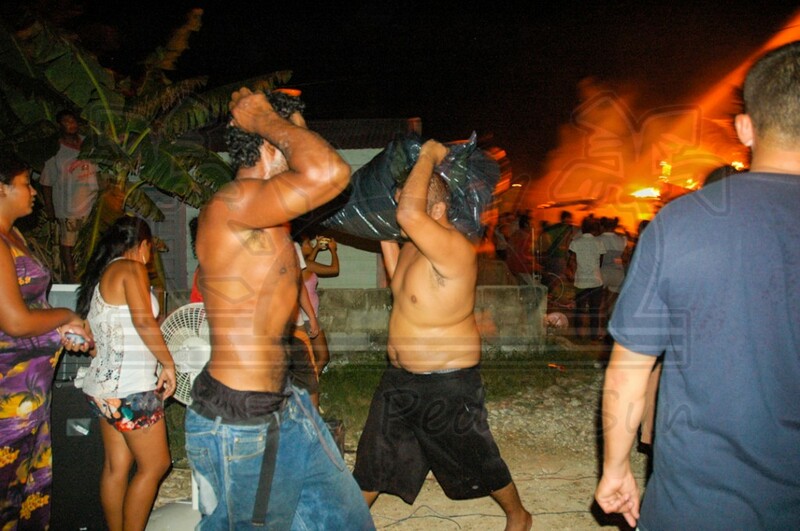 Neighbors in the area formed a bucket brigade to assist the victims even before fire officials responded. When fire officials responded 30 minutes after begun, the ferocious flames had spread to nearby structures. Preliminary information is that two persons were injured during the fire. A male sustained a broken hand when a beam from one of the buildings fell on him, while a one month old child received minor fire related injuries. 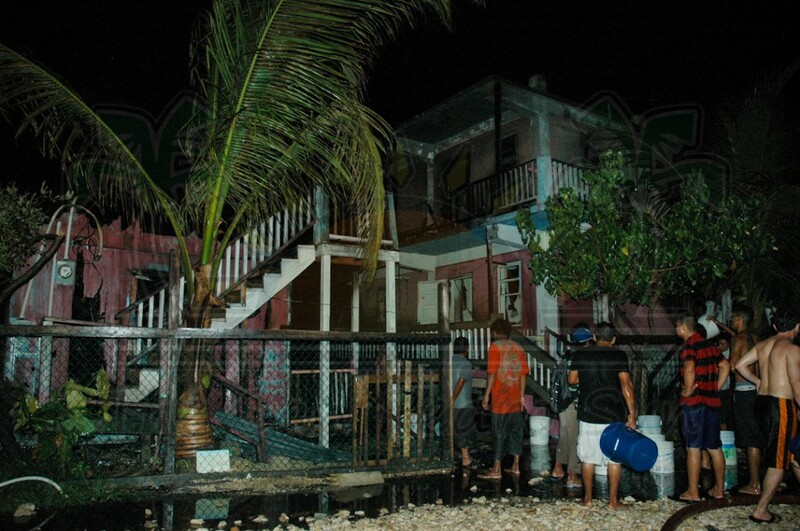 Both injured people received medical treatment at the Dr. Otto Rodriguez San Pedro PolyClinic II. 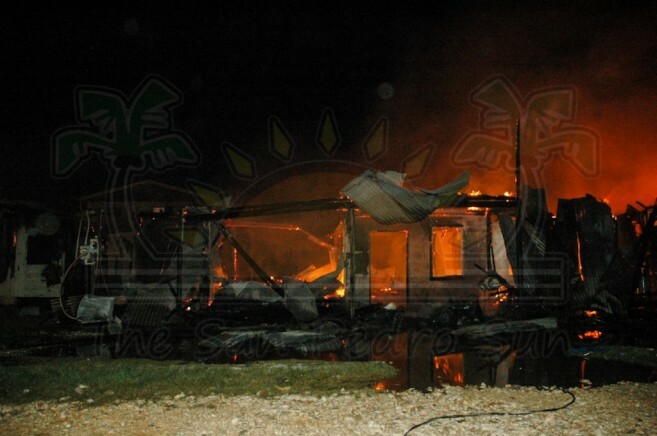 At least 32 people are reported homeless as a result of the fire. Power was cut in the immediate area to prevent further damage. The San Pedro Town Council is receiving donation for the fire victims and anyone wishing to make a donation can contact Lorna Vasquez at the San Pedro Town Council at (501) 226-2198 or (501) 226-2788. 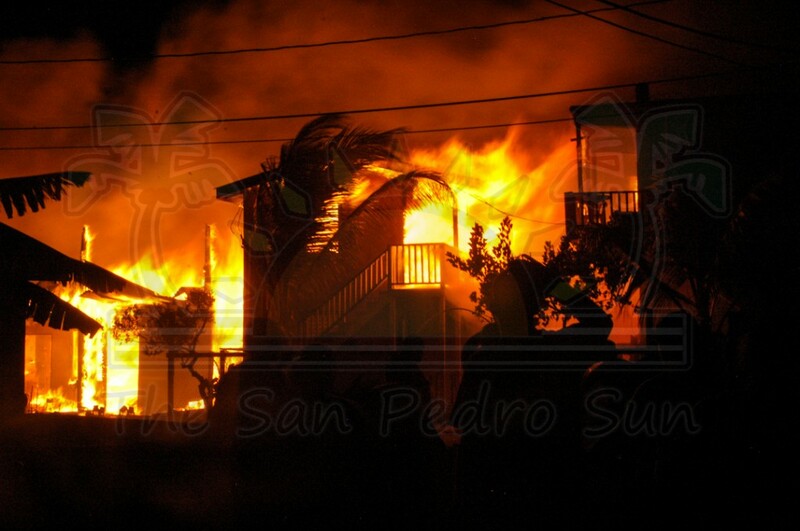 The San Pedro Sun will have more details as information becomes available.